At five o’ clock in the morning on March 30, the first tweets began streaming in as people from every corner of California boarded planes and buses to the capitol. By 9:00 AM, over 150 people had gathered in Sacramento to kick off the twelfth annual ENACT Day of advocacy, including a large contingent of youth advocates. ENACT Day gives California residents – some of whom have never visited our state capitol – an opportunity to connect with legislators and legislative staffers to voice their communities’ health and equity needs and priorities. It is an event sponsored by the Strategic Alliance for Healthy Food and Activity Environments, a statewide network of nonprofits. This year, participants advocated for five health- and equity-focused bills. These bills aim to provide all Californians with access to safe drinking water, fund health initiatives by imposing a fee on the distribution of harmful sugary drinks, feed low-income students when school is out of session, provide free and reduced-price transit passes to students, and support active transportation investments in low-income communities. 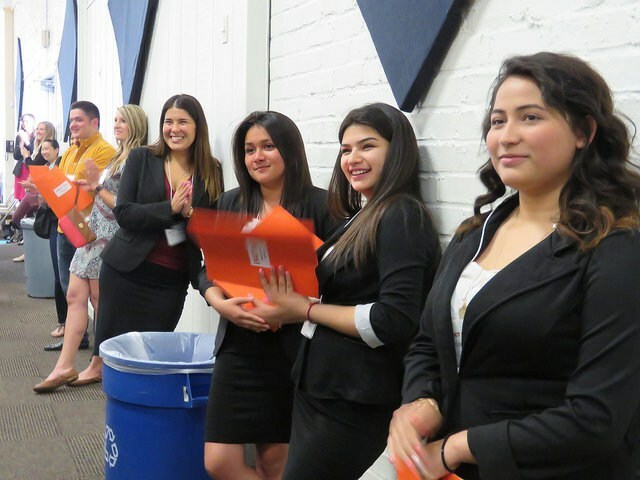 Participants represented 41 out of 80 state Assembly districts and 29 out of 40 state Senate districts, and every state legislator received either a visit from constituents or a packet of information about California’s health and equity needs. In addition to these in-person contacts, community advocates sent over 1,900 letters to their representatives in support of this year’s health bills. While numbers help illustrate the day’s impact, photographs and tweets capture the spirit of the day. Check out our Storify to relive the day’s highlights. Next Tuesday May 3, the Oakland City Council will vote on placing a sugar-sweetened beverage tax on the November 2016 ballot. This tax measure will help raise awareness, decrease consumption, and provide funding for community programs that combat the impact of sugary drinks. Voice your opinion about this measure at the Oakland City Council meeting on May 3rd. The LA County Board of Supervisors will take action on the next countywide parks funding measure next Tuesday, May 3! The Supervisors will be presented the results of the Parks Needs Assessment, undertaken to inform how future revenue would be allocated. Attend the hearing or email the supervisors to make your voice heard.